"Full review of stock market performances & trends today. 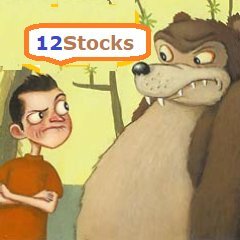 Only at 12Stocks.com, you get total market analysis daily." How is the overall stock market doing? April 24, 2019 - The overall stock market year to date is up 17.37% and weekly change is up 1.03%. All trends (long term, mid-term and short term) for overall stock market looks good. The overall Smart Investing & Trading Score (measures stock trend from 0-bearish to 100-bullish) is 95 which puts US stock market in short term bullish trend. The trend score from previous trading session is 65 and hence an improvement of trend. Current trends of some popular stocks? How are key market sectors doing? Trend scores are updated daily - Don't forget to bookmark this page! Trend Score : 0(bearish) to 100(bullish). Updated daily. Not to be used for investing. Want Quick & Easy Overview of Best Performing Stocks? Which are the best performing stocks this year? Which stocks are performing better recently? The Hot Stocks of 2019. Here, in this section, we quickly review the best performing stocks year to date. Then, we take a deep dive into today's stock market for best investing opportunities. The larger stock market universe can be broken down into large cap, mid cap and small cap based on market capitalization. The links below dive into best performing large cap stocks within major market indexes like Dow, S&P 500 and Nasdaq 100. Please follow the link below for detailed view of best performing midcap stocks. Please follow the link below for detailed view of best performing small cap stocks. How is the overall stock market doing? Which segments of the market are performing or trending better currently? Our daily stock analysis is focused on identifying profitable investing and trading opportunities in today's stock market. 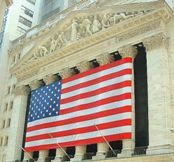 Let us take a look at how major US stock indexes (Dow, S&P 500, Nasdaq 100, S&P 100, Mid Cap, Small Cap), Global Markets (Europe, Emerging Markets - China, India, Latin America) and other asset classes like Bonds, Gold, Oil and ForEx are performing to get a perspective of relative performances and identify best performing asset classes to invest or trade in. In the sections below, we take a detailed look at movers and shakers within each market segment in our quest to find best performing individual stocks and exchange traded funds. Since best performing stocks can be mostly found in best performing sectors, which sectors are doing great currently? Most stocks, if not all, move in the same direction as their sector (energy, tech, etc). Sector analysis helps in identifying current trends and identify best investing opportunities. One can invest in individual stocks in a particular sector or invest in exchange traded funds that track various sectors and sub-sectors. How are the global markets doing? Which countries or regional stock markets are performing or trending better currently? 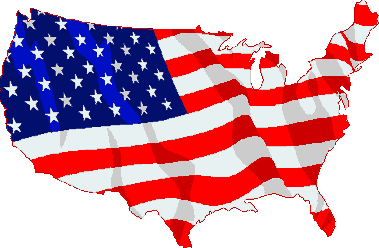 US investors can now easily invest across the world using stocks and exchange traded funds. The global investing world can be segmented into Americas, Asia-Pacific and Europe. Another way to look at it from investing point of view is - Developed Markets and Emerging Markets. Emerging markets like China, Brazil & India provide some of the best investing growth opportunities today. Brazil [1.61%], Latin America [0.71%], Japan [0.56%], Taiwan [0.50%], Asia-Pacific [0.45%], Australia [0.41%], Korea [0.38%], Emerging Markets [0.23%], Total MArket Ex-US [0.21%], Developed Markets [0.20%], United Kingdom [0.03%], Canada [0.00%], India [0.00%], Russia [0.00%], China [-0.02%], Europe [-0.04%], Germany [-0.21%], France [-0.36%], South Africa [-0.49%], Mexico [-0.91%] For more detailed view ..
How are various commodities doing? Which commodities are performing or trending better currently? How to invest in commodities using stocks or ETF funds? It is now possible for stock market investors to participate in commodities markets (Energy, Materials - metals including gold & silver, Agricultural & Livestock). One can implicitly participate by buying stocks of companies involved in commodity business. Or now, one can explicitly buy exchange traded funds (ETF) that track specific commodities like oil, gold and silver. There are also leveraged commodity ETFs that go up double or thrice the daily percent change in any commodity. Also, inverse commodity ETFs that go up when the commodity that they are tracking goes down. Get List of Best Performing Stocks Daily. No? Click here.